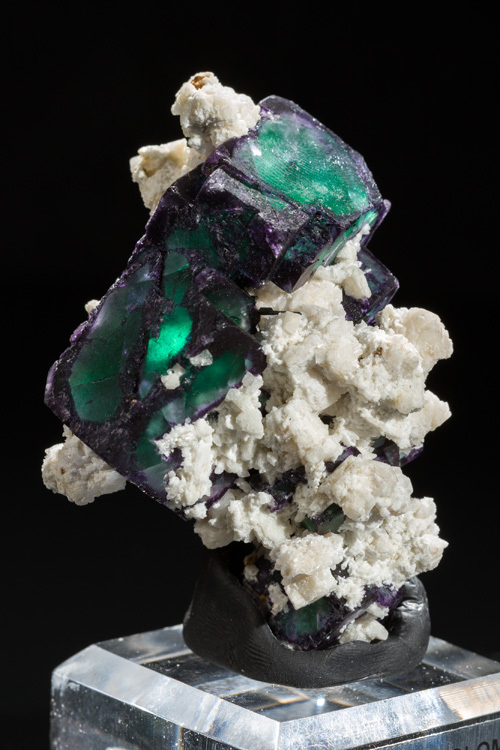 A very striking specimen from Namibia. 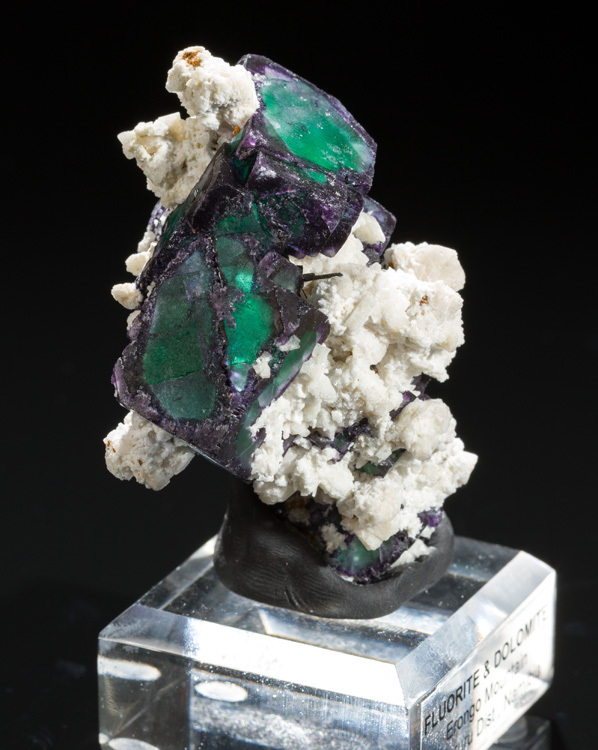 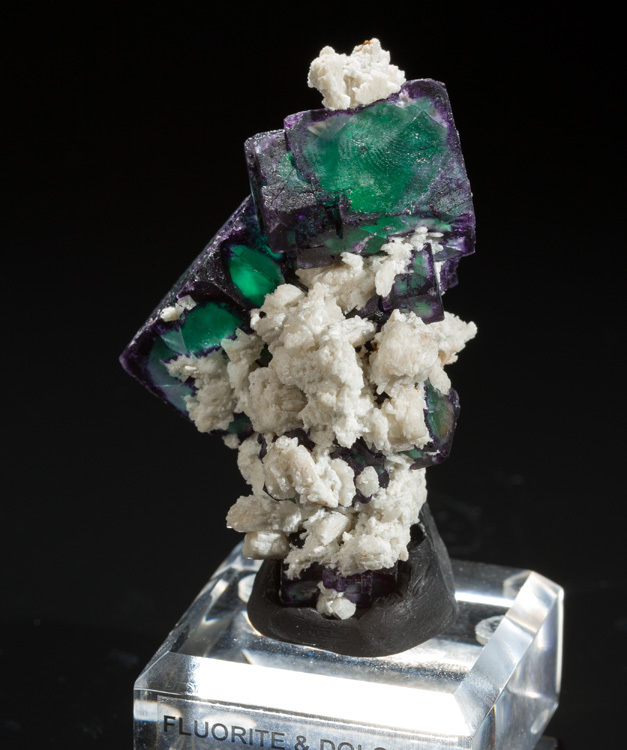 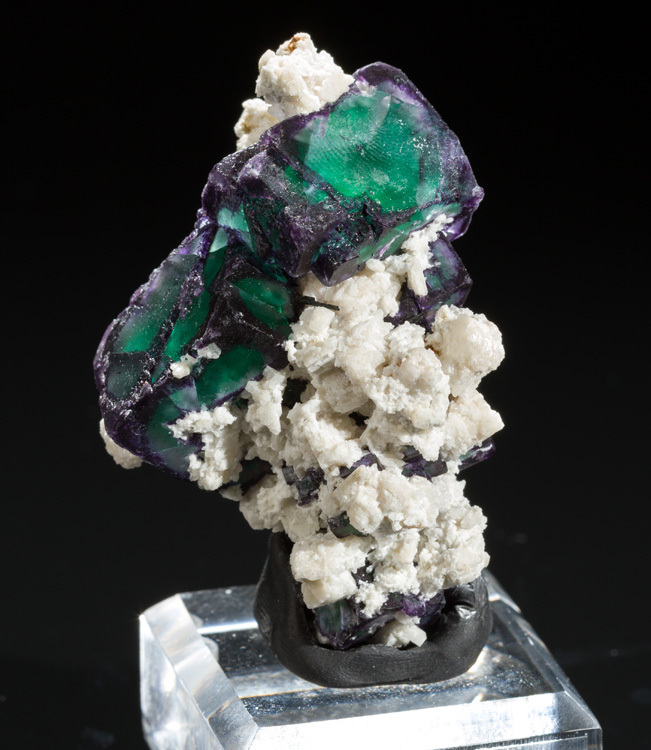 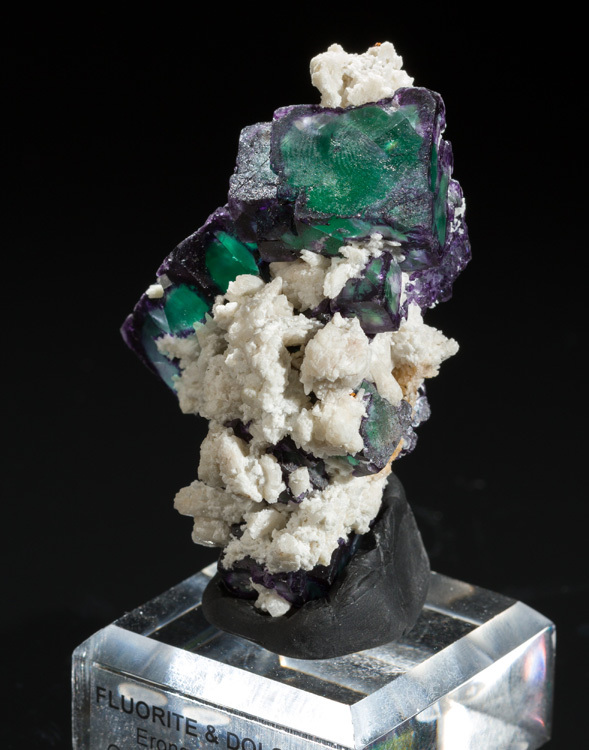 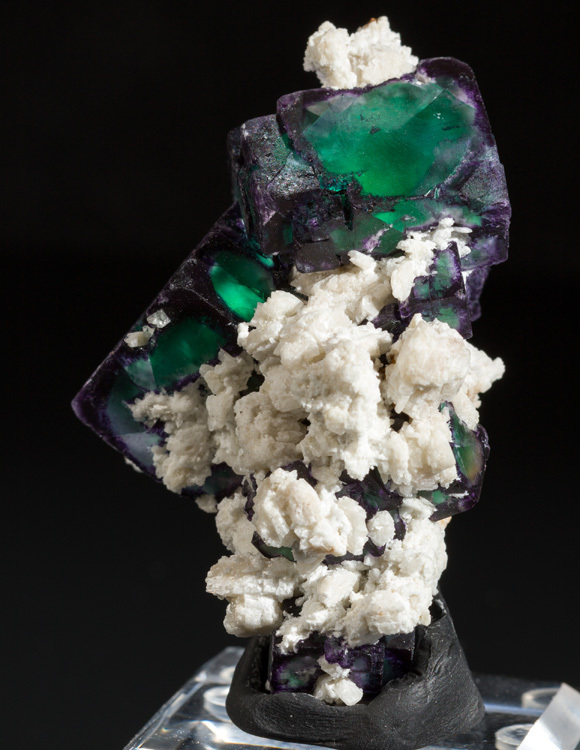 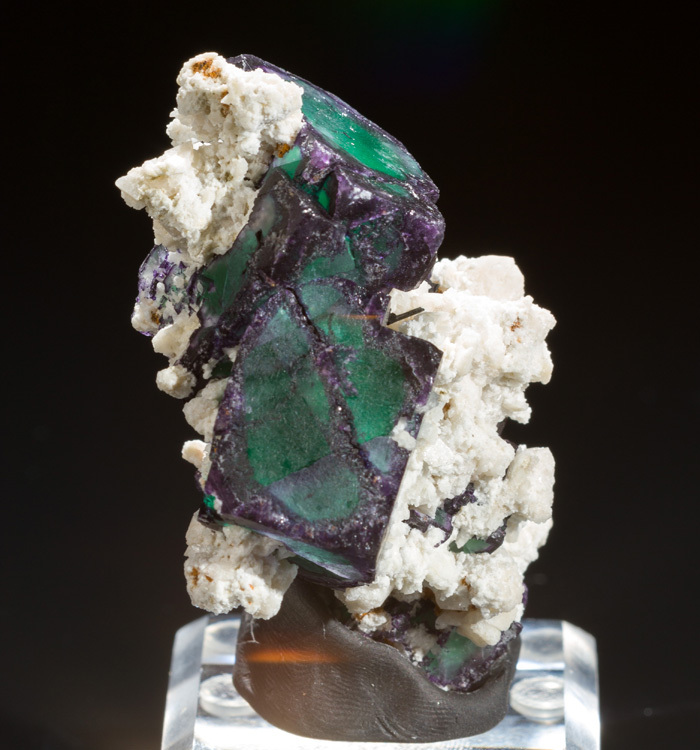 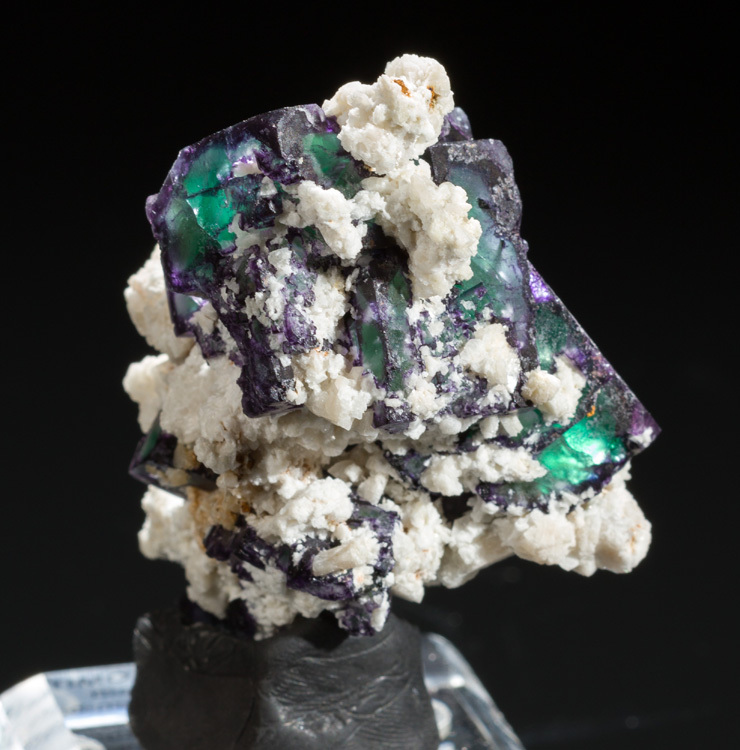 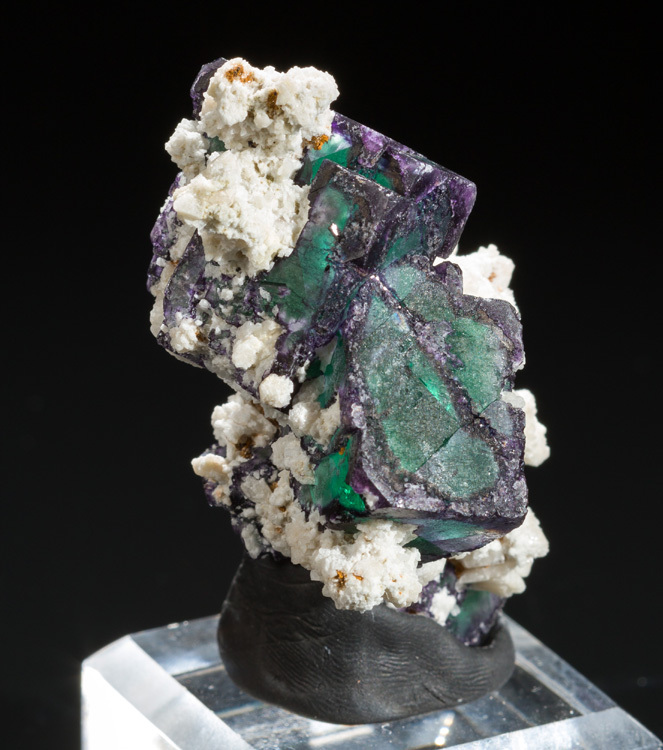 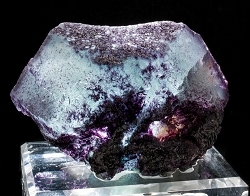 Several fluorite cubes up to 2.3cm wide are mixed in with white dolomite. 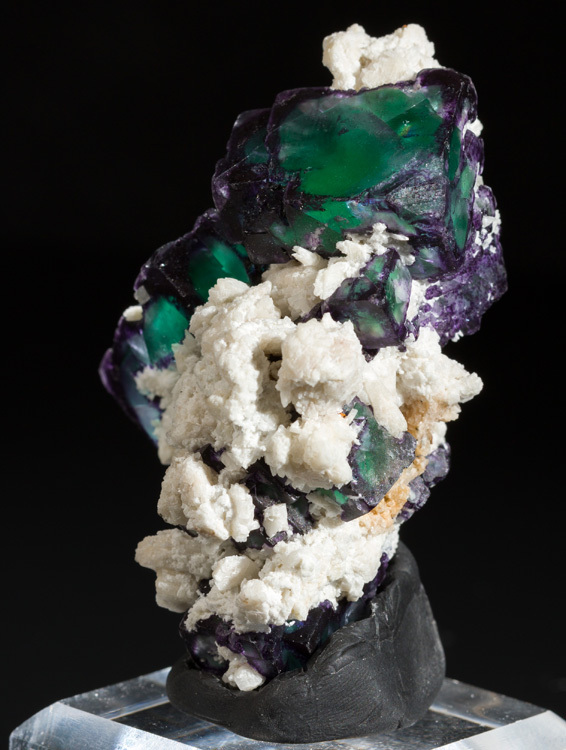 The fluorite is a deep, saturated, transparent green and has a very dark purple outline around the edges and is starting to grow in over the faces. 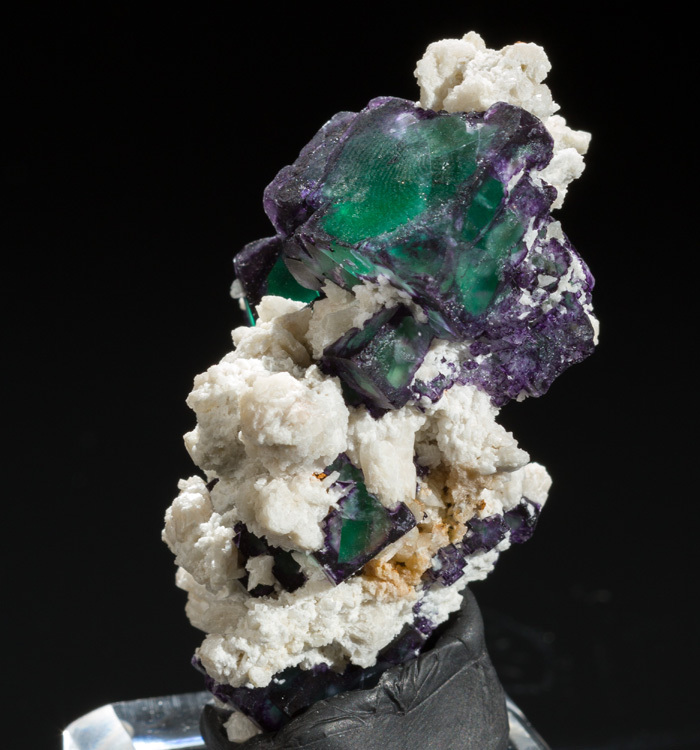 The color really pops on this!